To some, sitting next to a stranger on an airplane is an annoyance, to me, it is a gift! Don from AZ came to Rochester to bury his brother. A story I hope to write and share at a later time… For almost two hours we laughed, I cried, we shared … Two lives touched by each other, both strangers, both walked away changed souls! Why? Because we cared enough to listen to one another! 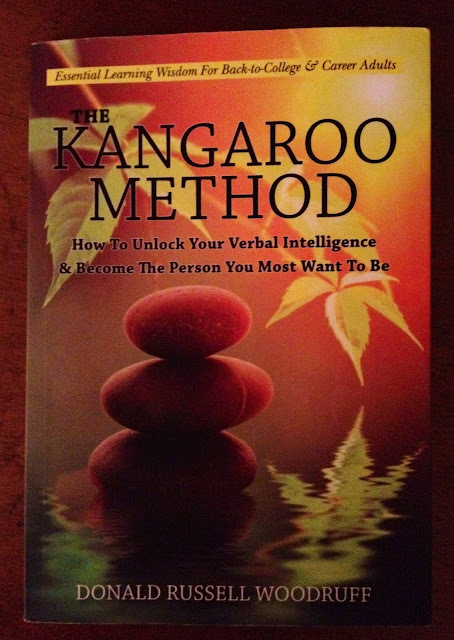 “The Kangaroo Method”, a wonderful small book to ” help you learn how to unlocked your verbal intelligence” A book, for me, that was filled with life encouragement… Which again, allowed me to realize how important life’s journey truly is. Being present to every moment, every word and every life experience beyond what we think we see, is living in Awe and Wonder, which is what I Love! The book The Kangaroo Method, helped me to understand myself more and showed me I wasn’t alone in what I thought and how I learned!